Beyond gift giving, family dinners, putting up lights and decorating, the true essence of Christmas is celebrated, which is the birth of Jesus. On Dec. 25, across the Christian world, Jesus will be honored for he is to be the savior of humankind. This year, on Monday, across the Shia world, Muslims will be commemorating the death of yet another savior of humankind, who would come after Jesus centuries later — Hussain bin Ali, the grandson of Prophet Muhammad. 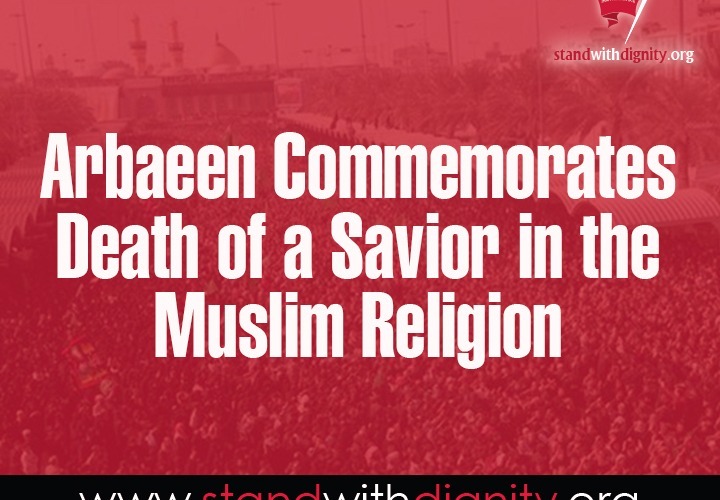 This day is called Arbaeen, which is commemorated every year. This day, Muslims will mourn. Arbaeen is the anniversary of the 40th day after Ashura, the day when Imam Hussain and his companions were unjustly martyred in Karbala. This tragedy took place in 680. Imam Hussain refused to pay allegiance to the ruler, Yazid, due to his corrupt and immoral ways. Yazid, part of the Ummayid Dynasty, was a tyrant and debaucher who mocked and denied the Prophet’s teachings and cruelly oppressed the people. Therefore, Imam Hussain refused to accept the caliph. He stated. “A man like me cannot pay allegiance to a man like Yazid.” Thus, Yazid sent an army of 30,000 men to kill Imam Hussain, who had the support of only 72 men. Imam Hussain was mercilessly slaughtered after being deprived of water for three days on the scorching desert of Karbala. Every year, millions flock to Karbala, Iraq, to pay homage to Imam Hussain for standing up to justice and truth. Last year, an estimated 21 million people visited the shrine of Imam Hussain on Arbaeen. This year, just as many are expected. Both Jesus and Imam Hussain’s paths were one and the same, seeking salvation through peace and justice. They both struggled in their lives against oppression and falsehood. Both pained deeply not for themselves but for those who wronged them, because they knew that these people were misguided. Consequently, Imam Hussain is the inheritor of Jesus. He continued Jesus’ message of kindness, forgiveness, forbearance and love. Therefore, Imam Hussain was and continues to be a universal figure. His anonymity among some people does not undermine his greatness. Imam Hussain is the unsung hero whose life and teachings must be recognized and understood by the masses to benefit from them. It is in studying his unrelenting stance against falsehood that will give us the courage to fight against our own battles of wrongdoing, be it in our own lives or in society. He taught that though a person might be confronted with challenges, or faced against all the odds, he or she can still come out on top if one’s principles are based on righteousness. Today, after hundreds of years later, millions still weep, beat their chests and cry out “O’ Hussain” because he demonstrated fearlessness, strength of character, hope, integrity and all of the qualities that a person yearns to be. When Imam Hussain is remembered due to his greatness and sacrifice, the depths of one’s soul burns with a deep passion of faith, sparking within a person a desire to change for the better. It is empowering. And with this, revolutions can come about and many have come about within the self and in society. Yet, undoubtedly, due to standing up for truth and justice, with the utmost sacrifice and sincerity, the likes of Jesus and Hussain will never die out in the hearts of humanity.